Alice lives in a cottage in a Yorkshire seaside town overlooking the beach with her three children. One rainy day she observes a man sitting on the beach all day, alone, without a coat and when she goes to speak to him she discovers he has no memory of who he is or where he has come from. Alice invites Frank (as her youngest daughter names him) to stay with her as a lodger for a while until he remembers something about himself. Meanwhile, in London, Lily is newly married and has only been in the UK for 10 days (from the Ukraine) and still very much in the honeymoon stage so when her husband doesn’t return from work she sets about tracking him down. The story alternates between Alice and Lily and also back to the same seaside town in 1993 where teenagers Kirsty and Gray are holidaying with their parents. On the beach they meet the handsome, enigmatic and intense Mark who befriends Kirsty before their holiday ends in a tragedy that nobody saw coming. We, the readers, are left to piece together all three strands of the book and work out how they are all linked. The pacing was good and the momentum more than sufficient to carry me through with building curiosity and intrigue. I found the characters all believable and actually likeable in most cases, particularly the two female leads – Alice, with her chaotic life, is unapologetically human and flawed but someone I felt like I would want to know and Lily who has a fragility that made me worry for her but also a determination that made me cheer her on. I did really enjoy this book. It was an easy and compelling read that flows well and works enough intrigue into the plot to keep a high level of interest. Have you read this or anything else by Lisa Jewell? What are your thoughts? I’ve been a naughty girl. Not only have I been missing in action but I didn’t even post to let you know. My reasonsexcuses are that I’ve been on holiday (to The Gambia – amazing place!) and have been unwell recently and am still having to have some time off work (nothing serious, but enough that I have been a mixture of lazy and no energy to post). I have so much to catch up on including photos of The Gambia and also 12 book reviews which I promise to get round to very soon. Thanks for still hanging around – I really appreciate that there have been so many hits on my blog since I did a runner despite there being no new posts for a month. Miracle on Regent Street is about Evie Taylor, the stockroom girl at Hardy’s – a 100 year old department store in London – and despite feeling that her talents should lie on the shop floor, she is completely invisible to anyone else who works there (OK, she’s not exactly invisble as oposed to blending into the background so much that the entire staff still call her Sarah which is the name of her predecessor of two years before). One day, right at the beginning of December, Evie overhears a conversation between the owner of Hardy’s and her manager, and it horrified to realise that if Hardy’s fortunes don’t turn around before Boxing Day they will all be out of jobs. What follows is Evie’s secret attempt to turn the shop around before Christmas, with a little help from some rather unexpected corners – Sam the delivery boy, Lily from the tea-shop who still dresses as though she’s going to a tea dance from the good old days, Felix the security guard and a couple of eastern european cleaners. I loved the whole cast of characters in this book, and despite wanting to shout at Evie for not standing up for herself (I’m not one for keeping my mouth shut if something bugs me at work ;)), I still found her engaging and routed for her and her friends throughout. One of the things I loved about this book was the wonderful nostalgic trip through a long-ago age where shop assistants spent time with customers, women were made to feel like women and a trip to the department store was a special treat. The transformation of the store through Evie and her secret elves made me long to be part of that world and I could see this wonderful place so clearly in my mind that I wanted to wander round the stalls and browse through the gold compacts, crystal perfume bottles and vintage peep-toe shoes (and this from someone who is not remotely a girly girl! ); I wanted to glide down the huge wooden staircase and pick up the handbags, trilbys and corsets and then pop into the tearoom for tea and cake, red lipstick and stockings firmly in place. I do love a chicklit book now and then, but I have to say that this is one of the most sophisticated that I have read; it didn’t have the cheesiness or sickliness of some and instead it had old fashioned glamour, romance, wit and warmth and it was a delight to read. Verdict: If you are looking for a christmassy feel-good read then please, please look no further than this book. It is a real treat. This book is truly magical. It hooked me from page one and did not let me go until I closed the final pages, and it was with a heavy heart that I said goodbye to this wonderful place and its small cast of characters. Jack and Mabel arrive in Alaska in 1920 to make a new home for themselves and to get away from the terrible heartache of losing their only child at birth ten years before. Their sense of loss and grief is palpable and their sadness at realising that they are also losing each other is felt clearly through those opening pages. Just as things seem to be coming to a head, Jack and Mabel – in a rare moment of companionship – build a snowgirl together when the first snows of that winter arrive at their homestead. They dress it in mittens and a scarf and use the juice of berries to give some colour to its lips. The next morning, not only is their snowgirl gone, but there are little footprints leading away from the mound of snow and the couple start to be convinced that they have seen a little girl in a blue coat dashing between the trees in the snow, followed by a red fox. What follows is a truly captivating and spell-binding tale of a little girl, who we come to find out is called Faina, and her place in the rebuilding of the lives of Jack and Mabel. As the elderly couple open their hearts once again, Mabel remembers a book that her father used to read to her when she was a child: a snow child that appears at the house of a childless couple and, despite many re-tellings and different endings over the years, always ends with the little girl melting back into the snow, and Mabel comes to dread the day that Faina will leave them too. Faina herself is not quite tamable and always slightly out of reach of the couple and it is through her that the reader is treated to such a feast of beauty and nature and landscape. Just wondferful. Istill can’t quite believe that this is a debut novel and beacuse of this, I cannot wait to see what else she comes up with in the future. The Snow Child isn’t released until 12th February 2012 but I just had to review it right now and yell that you MUST, MUST, MUST get yourself a copy of this book when it is out – run to the shops! Verdict: Wow, just wow. My favourite book of 2011 and I am head over heels in love with it. What a strange yet strangely appealing book from this Japanese author, Keigo Higashino. I have read several novels by Japanese authors over the years and they have all had similar styles in that they have been sparsely written with barely a word wasted, yet they have all packed an almighty punch (without even trying it somehow seems). The Devotion of Suspect X is a clever crime book. There is a murder but no blood and gutts, a crime but no evidence. 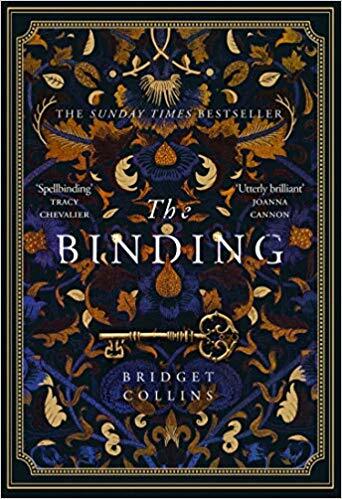 The killing takes place in the first few pages of the book and we all know straight away who did it: what happens immediately afterwards is what keeps the reader on their toes. Verdict: Quirky, surprising and rewarding.